The Happy Tongue Cherry Roller Loose Ring by Bombers Bit allows for immediate release and relief from tongue and bar pressure. The bit is immediately reset to a neutral position in the horse’s mouth. The rider will know immediately if this is the correct bit, as a horse with a sensitive tongue will finally begin to work into, and accept the contact. Changing the cheekpieces would then allow the rider to adjust the level of control. Furthermore, the Cherry Rollers roll in the horses mouth giving him something to play with and reducing the likelihood of the bit being held in the horse’s teeth. They are constructed tightly and as a result, there is no chance of pinching. 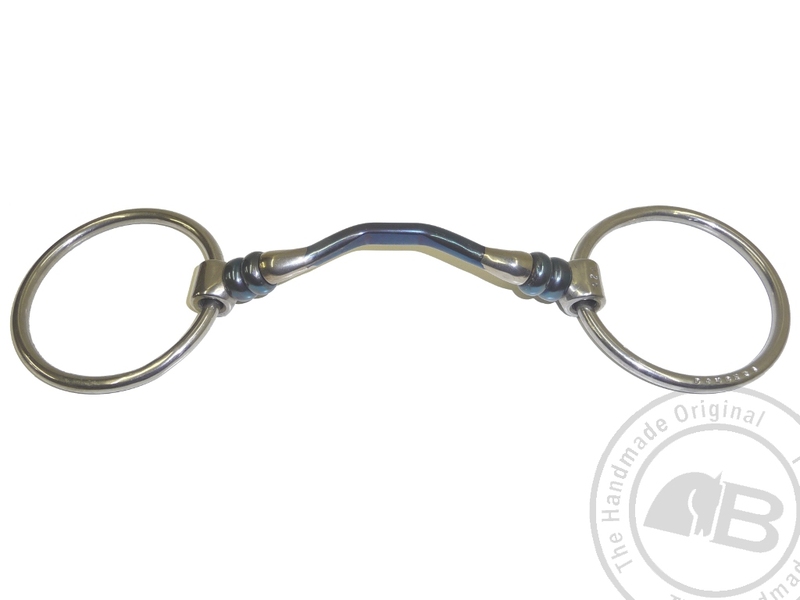 When pulling on the reins, the rollers allow the bit to move along the bars of the horse’s jaws as opposed to rubbing.